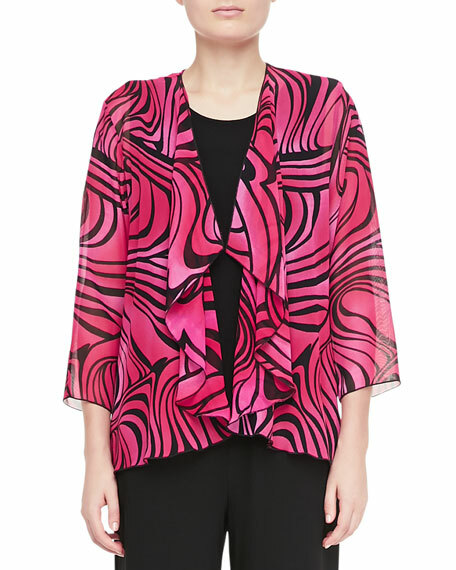 Caroline Rose invites you to add spirited energy to basic black or any other solid color with this swirl-print drape jacket. 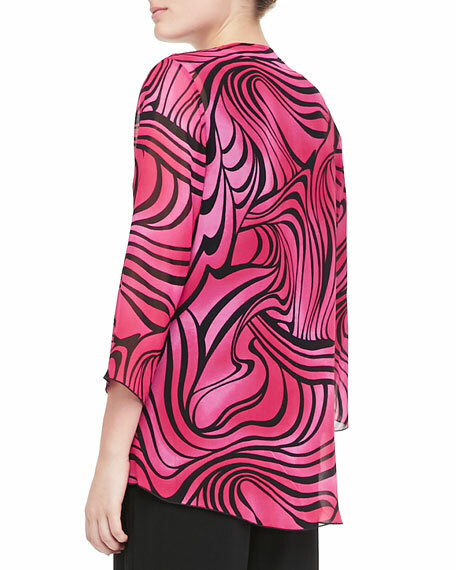 Model's measurements: Height 5'10.3"/178cm, bust 33"/84cm, waist 24"/61cm, hips 34"/87cm, dress size US 2/4. For in-store inquiries, use sku #242370.